It was my mom’s birthday on the weekend and she wanted to celebrate with Chinese food. 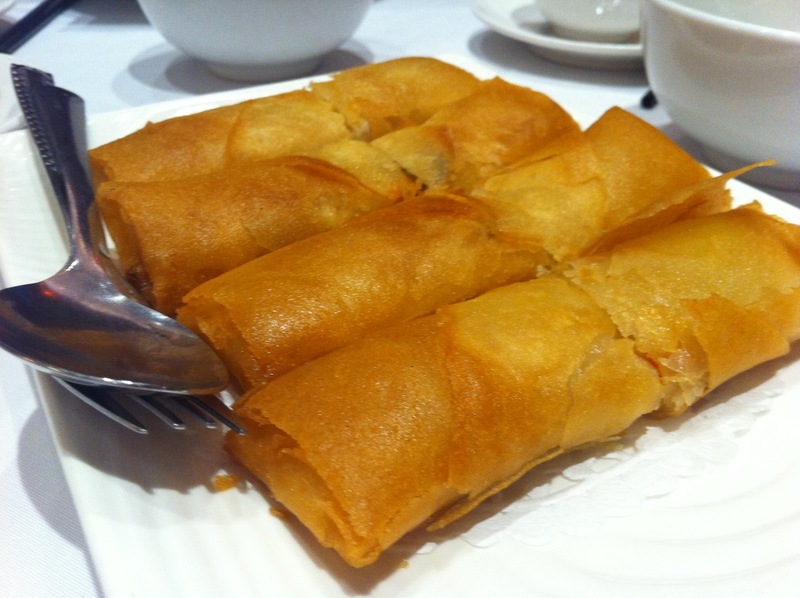 Since there is no good Chinese food in Maple Ridge where we live we had to go out to Coquitlam to get something decent. We decided to go to Wah Wing which is one of the places we frequently go to get Chinese food. I have always had good experiences here and this time was no different. We started out with some pork spring rolls and veggie spring rolls. They came out very hot and crispy. They were both good but I prefer the veggie ones more since I find the pork doesn’t really add much flavor. They were a good size and perfect for sharing (the photo above is only one order). Next up were the Szechuan green beans. These came mixed with garlic, onions jalapenos. 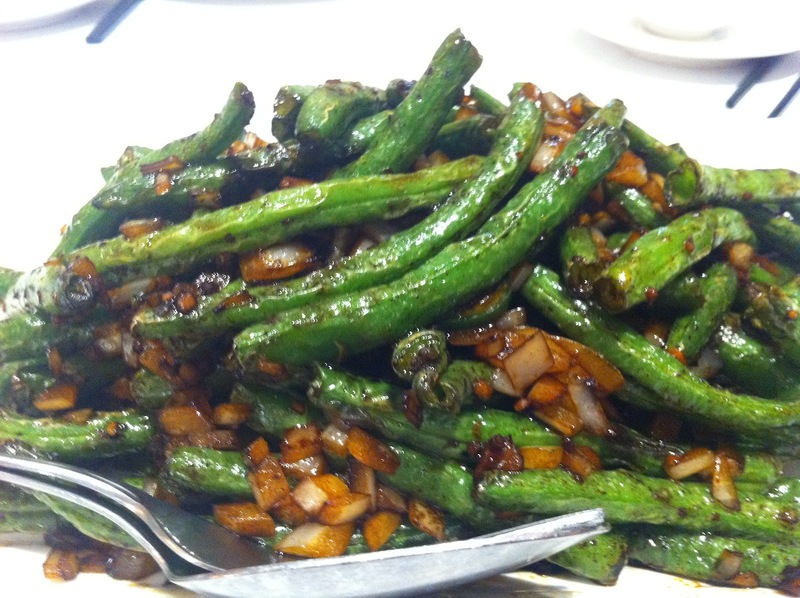 Szechuan green beans are probably my favorite veggie dish and the ones here taste great. These were cooked nice, not to soft or too hard and slightly charred on the outside. We ordered the chicken fried rice which was a bit small but I think there was a larger size available. 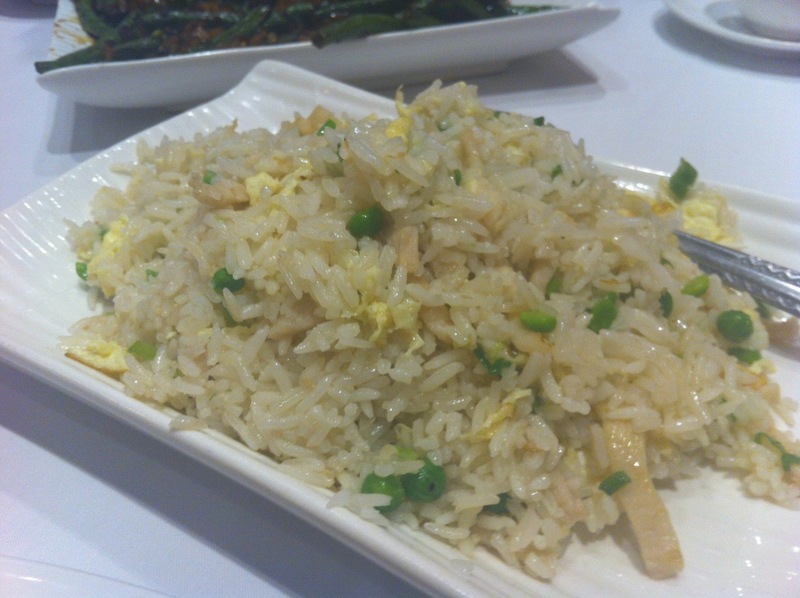 The rice was moist and fluffy with bits of egg, chicken, peas, and green onions in it. A pretty basic rice but it tasted very good. The next dish up was the sweet and sour pork. The bits of pork were quite large and nicely battered. The sauce was good and not too artificial tasting or overly sweet. There were big chunks of pineapples mixed in which was nice. I’ve had better at other places but I still enjoyed the dish and it was satisfying. 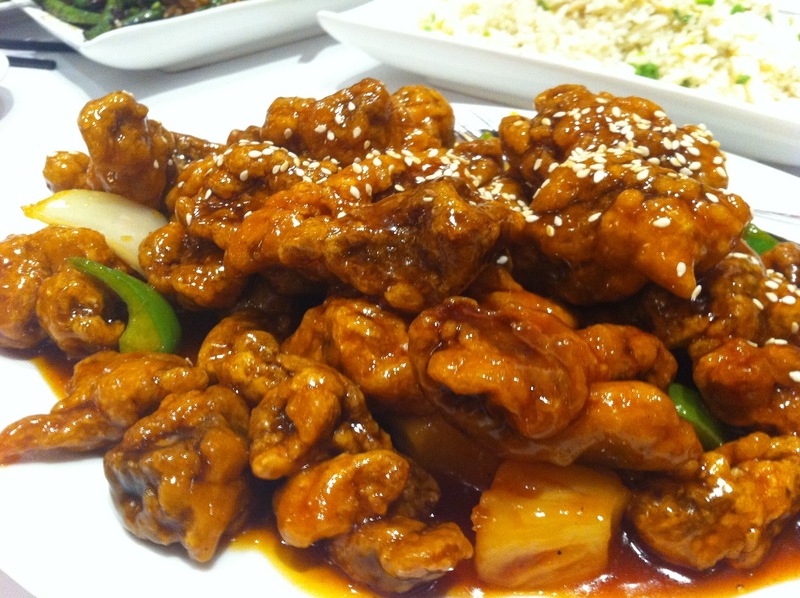 Everyone’s favourite dish of the night was the general tso chicken. This version is a bit different from ones in other restaurants I’ve had. The chicken is thinly sliced and the batter isn’t too thick. 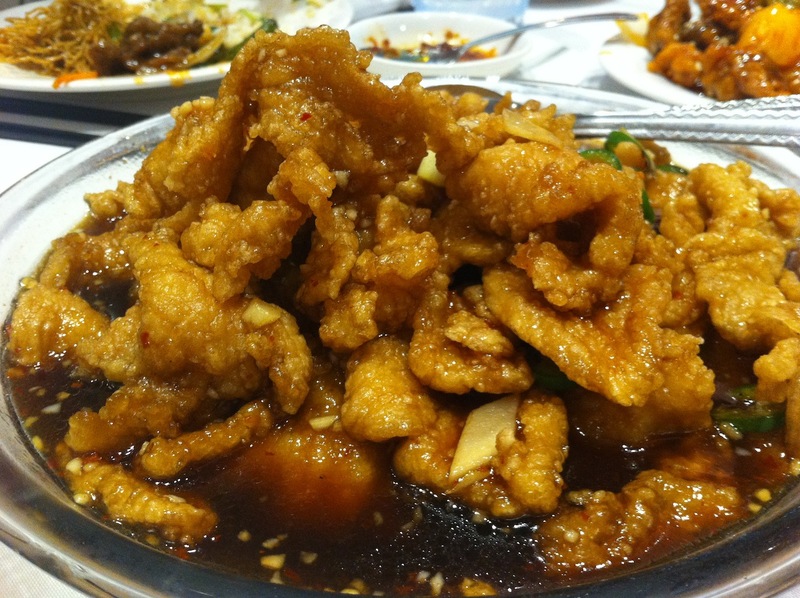 The sauce is thin and liquidy and has a sweet but spicy chili flavor. The sauce was amazing and had big pieces of jalapenos in it so if you hit one of those it can be spicy. The chicken was moist and once again the portion was very large. We always order this dish when we come here and it never disappoints. For noodles we ordered crispy noodles topped with beef in black bean sauce. 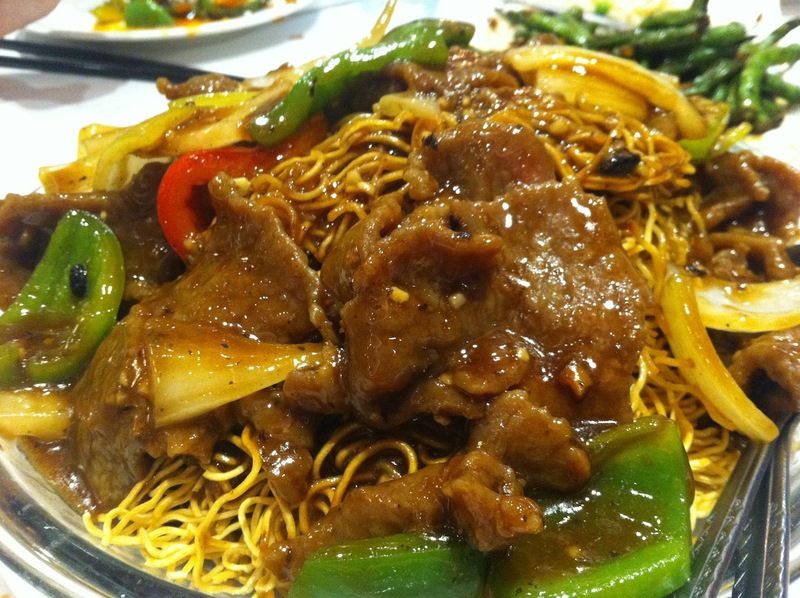 Beef in black bean sauce on crispy noodles is one of my favorite noodle dishes ever and Wah Wing makes it quiet well. The noodles came out fresh and hot and there was lots of beef on top and a good amount of sauce to add flavor but not enough to make them too soft and soggy. Another dish we ordered was the ginger beef with chili. 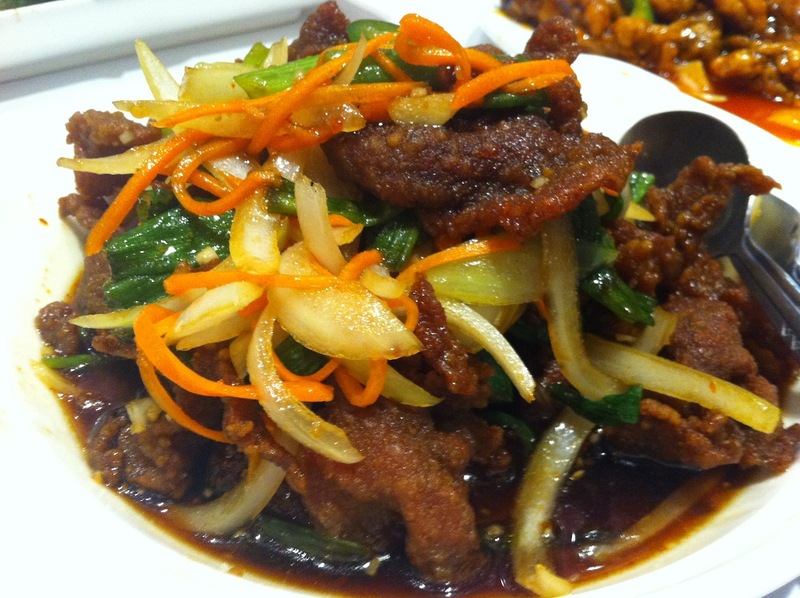 The beef was lightly battered and in a mildly sweet ginger sauce with some sliced carrots and green onions on top. There was some heat from the chilis which gave it a great flavor and I liked how the veggies gave it a contrasting crunch. 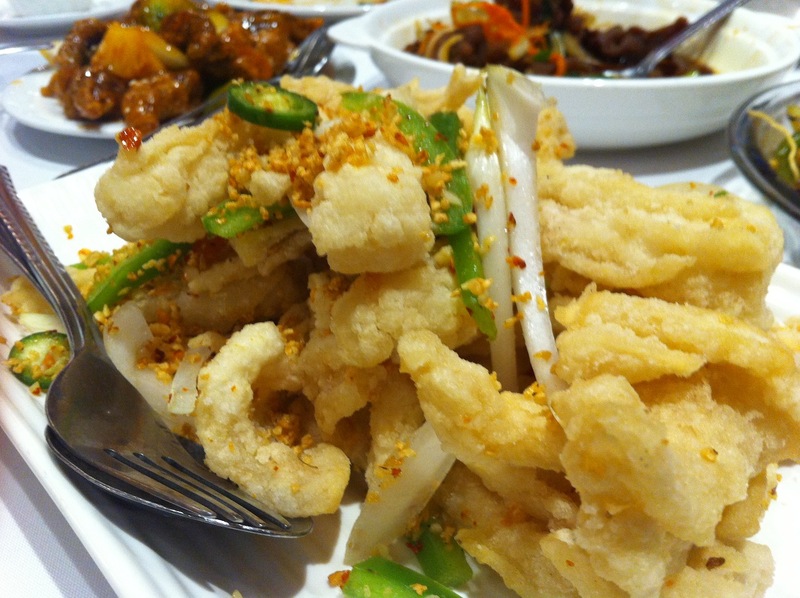 The last dish we ordered was a spicy salt squid. This dish came out last so by the time we got it everyone was already pretty much full. I’ve had a bad experience with squid in the past so I tend to steer clear of it. I had a little bite and I didn’t care for it because it seemed too chewy and flavorless. I wouldn’t recommend this dish. Throughout the meal the service was really good and the workers were very friendly. At the end they gave us a free mango pudding dessert. I don’t really know why they gave it to us but I will never complain about free food. 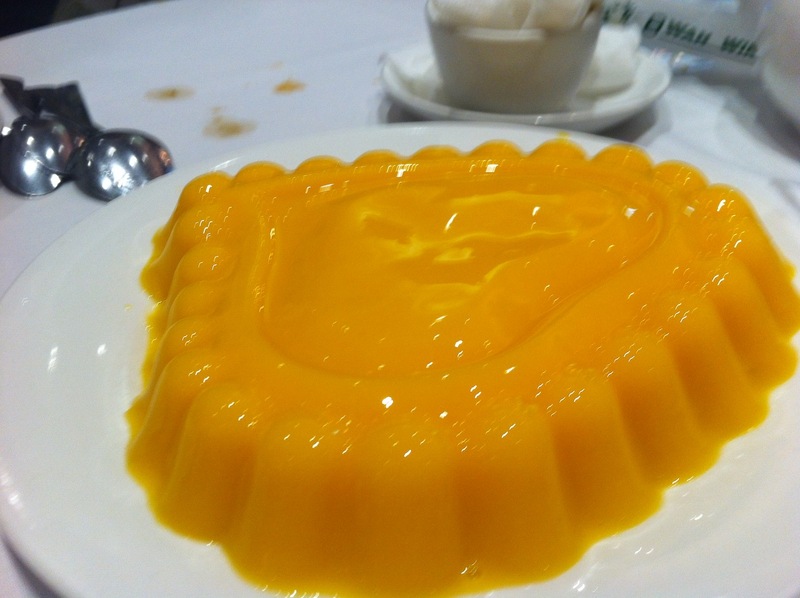 I enjoyed the mango pudding. It had a bit more of a jello consistency than a pudding. I love mango flavors and this one had a nice mild and sweet flavor where you could actually taste the mango. I really like Wah Wing because everything always comes out hot and fresh and the service is always good. The restaurant is clean and the prices are more reasonable than places like Kirin. Yes, for good Chinese food in the Coquitlam area.